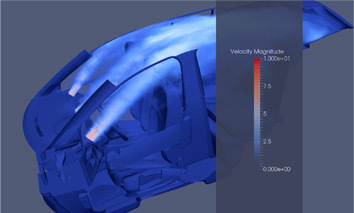 TERMO FLUIDS is a CFD software platform that uses state-of-the-art numerical and physical models to perform accurate scientific analysis of engineering problemes. 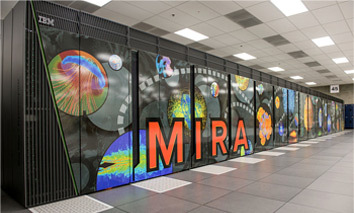 Special care has been taken in its parallel performance having a high efficiency in supercomputers. The development of the code has been a source of scientific publications in the most prominent cientific journals which support its reliability. TermoFluids has been designed to run on modern parallel supercomputers, and it has demonstrated good scalability up to 100k+ cores. Parallelization of TermoFluids is achieved via distributed memory model paradigm using standard MPI, and is also capable of taking advantage of hybrid parallel supercomputers by means of MPI+CUDA or MPI+OpenMP models. 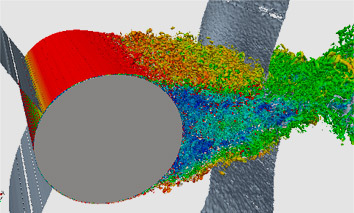 The most prominent features of TermoFluids include a set of GPU accelerated linear solvers, a unique load balancing algorithm for multi-phase flow problems, as well as specialized parallel algorithms that take into account nature of the phenomenology being solved. Being TermoFluids an in-house code we have the flexibility of adapting the integration algorithms to the latest HPC architectures and offer an up-to-date product to our customers. TermoFluids is committed to HPC: we are associated members of the ETP4HPC platform and members of the Industrial Advisory Committee of PRACE. By choosing TERMO FLUIDS as a partner for your projects, you will benefit from the expertise and flexibility of our highly-qualified multidiciplinar scientific team, which can define and implement an adapted strategy to solve a specific industrial problem.